Albert Einstein (1879-1955) developed a theory of the universe based on a 'spacetime continuum', somewhat like Descartes' earlier dead-matter mechanical push universe with its 'space ether'. Gravity was an integral part of Einstein's spacetime-continuum ether, and light and other electromagnetic signals somehow propagated through it at a constant speed, the speed of light, with time variable. This relativity theory chiefly came from the relativity of light signals carrying information to human observers and its apparent mathematics, though his theory included no actual electromagnetic actions despite him trying in vain for many years to find a way to include such. His relativity theory was basicly a gravity centered one-force physics though Einstein concluded that his gravitational push-continuum should have a second electromagnetic push-continuum work with it, but could not prove how and Cartesian physics had a similar problem with multiple forces but Descartes supposed a fanciful solution with selective-pushings although pushing by his own space-exclusion definition should not be selective. And correctly resolving this multiple-forces issue could maybe also resolve Newton's failure to prove the correct option between a Cartesian push-physics and a Gilbertian action-at-distance physics. But Einstein's theory never really included a fully defined mechanism for gravitational or other actions despite needing it, though he never conceded that it was a poor physics and continued flogging his dead horse. Einstein did his science sit-and-think like Descartes and sold his thinking as 'thought-experiment' which as being based on mathematics he claimed to be logical and necessarily-right or certain if maybe a fiction-physics as 'thought' is really the opposite of experiment-doing. But Einstein claimed his theory was both consistent with Newton's physics and disproved Newton's physics, if on a quite wrong textbook view of Newton's physics as being the fake-Newton Cartesian corpuscular push-physics that Newton himself had disproved and not the Gilbertian action-at-distance signal-response physics that Newton actually favoured but failed to prove. When asked “Did you stand on the shoulders of Newton?”, Einstein replied, “No, I stood on the shoulders of Maxwell” - basically letting slip that he, like most modern physicists, had really only studied a small fraction of physics of special interest to him. While he presented his physics as an explanation physics, it really was a mathematics-only no-explanation physics like Newton's or at best an explanation physics whose mechanism is unspecified so that users can take it as a push-physics or action-at-distance or other physics ? Einstein did believe that physics should have actual mechanism explanation as Newton did though he failed to provide any, and unlike Newton did not indicate that alternative explanations might share the same mathematics. If Newton did not publicly commit to any mechanism fearing adverse response from peers, Einstein seems to have failed to commit to any mechanism more from lack of proof for any and both apparently chose to hide these facts. He may have developed a better mathematics but not a better science ? He himself seemingly saw that his spacetime continuum could not affect any motion in it by any push mechanism, but he failed to challenge most of the supporters of his theory who have wrongly taken it to have such a mechanism. Einstein's actual physics contained several major internal contradictions that he himself somehow accepted, and some major omissions that he tried and failed to deal with. But his supporters mostly did not really understand his physics and took it as a Cartesian push-physics where matter balls actually pushed a rubber-like continuum. This fake-Einstein physics is still somehow widely supported by a good number of physicists today, though Einstein himself considered that option disproved basically by Newton. So as proven partly by Gilbert and fully by Newton, 1.) all solid, liquid or gas mediums that have push properties show demonstrable drag on the motion of bodies in them not shown in the actual motion of bodies in empty space and 2.) rotations of any such medium cannot move bodies in them matching the actual motions of planetary bodies, nor medium tensions. And if spacetime continuum motion involves no push mechanism, the only non-magic mechanism possible would seem to be some form of Gilbert-Newton signal-response attraction physics mechanism. Einstein's physics was a somewhat anti-Cartesian physics (in at least partly rejecting push-action) though he thought his was an anti-Newton physics since he like most physicists of the time wrongly saw Newton's physics as being fully Cartesian. In reality Einstein's physics is rather more like Newton's than it seems, excepting chiefly that Einstein did take a unique view of time, though for space Newton favoured Gilbert's view of it being actually nothing rather than Einstein's Cartesian-ether-type continuum. However the maths of Einstein's physics theory did seem a real advance over Newton's in better predicting more in astronomy. But while still backed mainly by astronomers, some of the major claimed predictions of Einstein's physics like two-way time-travel remain unproven mere theorisings and have perhaps to date really helped only science fiction especially now that multiple-universes have been added to spacetime though still no experiment has really confirmed the existence of either. Up to Newton's time, and indeed for a good time beyond, physicists and astronomers were almost all agreed that the physical universe followed basically simple laws of behaviour, and that their observations and experiments showed that - though explanation of it was not so fully agreed. But by Einstein's time technology and experiments had become more sophisticated and seemed to be showing that the physical universe followed more complex laws of behaviour, perhaps even defying logic. Little effort was put into trying to develop Newtonian physics, and instead new tricky physics theories were developed - mostly by returning to the early-Kepler method of trying to produce physics theories from mathematics only. Forcefield theory was already taking a view, more in line with Gilbert and Newton, that force or energy could have forms other than just Descartes mass-in-motion. And Descartes mobile-indiscriminate-push-matter ether was to H.A.Lorentz a rather different 'force-ether' present everywhere and basically immobile-discriminate-push-energy with light being an ether wave, and Einstein at first took that as proven and deduced that a direct consequence of the stationary ether was that the absolute velocity of light with respect to the ether is a constant, independent of the motion of the source of light or the observer. Lorentz took the ether as being the ONLY valid non-accelerating 'inertial frame of reference' for light. By 1905 Einstein had concluded that the immobile Lorentz ether was disproved by the Michelson-Morley experiment and that light was not an ether wave, and that any observer frame of reference in which Newton's law of inertia holds for that observer (for some period of time) is an 'inertial frame of reference'. And all observer frames of reference (and only such frames) at rest or moving with constant velocity with respect to a given inertial frame of reference are also inertial frames of reference. An observer could determine that it shared some inertial frame of reference with things that it saw as following Newton's law of inertia. The unknowns involved prevent this equation from ever actually being directly proved, but this is claimed to have been indirectly proved. The nearest experimental equivalent will normally involve two observers having unknown absolute velocities but a known relative velocity to eachother and known relative projectile velocities. But this 'relativity maths' had been previously developed by FitzGerald and Lorentz from quite different theory. Einstein in 1905 asserted that all the laws of physics take the same form in any 'inertial frame', including them having the same constant velocity of light relating to time determination with time being a relative variable. This was basically a new alternative to the theory of Irish physicist George FitzGerald, supported by Lorentz, which was then current and had space or distance being a relative variable in motion involving the 'FitzGerald Contraction' rather than Einstein's 'Time Dilation' with time as a relative variable in motion. (earlier physics had taken motion as distance over time with both distance and time fixed.) Einstein's Special Theory of Relativity universe also involved a somewhat new kind of 'force-ether' or 'field' that he called a 'space-time continuum' which worked by 'some unspecified non-pushing mechanism akin to pushing'. Evidence for absolutes being variable, whether space or time, is rather weaker than the extensive firm evidence of relatives being variable as per Gilbert, Doppler and many others. As absolute or relative Motion is Distance moved in a Time, absolute or relative distance or time change is commonly easily viewed as relative motion change. And for a William Gilbert action-at-distance signal-response universe almost everything is an observer and responds to force-signals including variable relative signals of which there is substantial evidence and indeed variability is inherent to relatives but not to absolutes. So the maths of Einstein may well hold for an appropriate action-at-distance physics. Hence the 1887 Michelson-Morley experiments (on our moving Earth, to demonstrate its motion through an immobile light-ether) showed light apparently having no velocity variation in a vacuum when such was expected in the Descartes-style ether that Lorentz assumed in vacuums. Many concluded that this disproved all Descartes' push-forces physics, and many wrongly thought that also meant all Newton physics - but it proved only that a vacuum does not affect the passage of light much, or at least its wave velocity, - or simply that measuring any velocity within a moving system cannot reflect the systems velocity ? Physical detectors/observers could be even themselves be automatically adjusting reported signal velocities for relative velocity. Though it has long been taken that all objects on the Earth share the Earth's velocity, this experiment did weaken the then current modified-Descartes' Lorentz ether theory - but not maybe Descartes own ether vortex theory claiming the ether pushed the Earth along and so they would have the same velocity ? Fitzgerald saw the likely explanation as being motion length contraction as actually real, but some as being just apparent due to using light for length measurement and requiring light to have a constant velocity. Somehow Einstein and his peers claimed that this experiment crucially proved his theory (eg. Einstein's 1912 manuscript on the special theory of relativity pp.18.) - though maybe just proving light reflection conserved velocity and that light which can travel through space is not any ether medium-wave as any relative medium motion changes the apparent velocity of any wave of that medium, and some other experiments were also perhaps more justifiably claimed to be proofs supporting at least Einstein's maths. While for Newton all velocity physical effects were to relative velocity, for Einstein some velocity physical effects were to absolute velocity. But accelerating particles 'absolutely' to near the speed of light does not seem to have given any of the predicted Einstein effects. And perversely Einstein took his no-magnetism-or-electricity theory's constant speed of light from Maxwell's magnetism-and-electricity-only theory's equations ! Newton and Einstein both produced substantial works on light being particulate or corpuscular quanta, rather than waves in any ether, but Newton moved to his 'either push-particles or robot-particles might hold' black-box theory position while Einstein took a 'particle-wave duality' position on developing his own continuum ether theory with a Dualist non-consistent theory of light both being particle and being wave (or more accurately perhaps Particle and medium-less Energy-Packets for which wave maths held, with at least the latter not clearly defined). Einstein basically took experiment as both proving and disproving light being a wave. Newton and Einstein both gave gravity a substantial part in their physics but Einstein failed to integrate other forces and left magnetism and electricity to an isolated electromagnetic forcefield theory seemingly involving some other ether or continuum. And competing non-ether physics ideas continued in emerging quantum theories. Until he developed his spacetime continuum theory of relativity, Einstein had like Newton been a bit of a black-box mathematical laws physicist though with leanings towards Descartes mechanical universe explanation, but his physics from then relates much to spacetime continuum localisations and curvatures. These Einstein ideas were to some extent along the lines of force field theory that had been developed for electromagnetism, and to which he also increasingly committed, and was basically a new energy-ether version of Descartes' matter-ether all-dead-matter push-physics with only humans doing any signal-response 'thinking' or 'observing'. But for anything, including Einstein's spacetime continuum, to have variable curvature it must be a pushy thing and a pushing thing - which Einstein insisted his spacetime continuum could not be in his physics ? So his physics did not really give any actual explanation for gravity or how it works. And with no real push mechanism for his energy spacetime continuum, Einstein's physics maybe favoured some type of 'field' physics that leaned more to some undefined 'information-field' or 'signal-field' than to any kind of a 'push-field' that he still seemingly inclined to. Yet not all who support his physics seem to support a push position, and Einstein himself was maybe less definitely committed to any physics mechanism than Gilbert and Descartes were to theirs. So his general relativity physics theory was perhaps really never fully defined. Maybe he thought that Newton allowing alternative mechanism options made it OK science to commit to no mechanism for a physics, though their seems no evidence Einstein ever really studied Newton. Einstein's famous equation E=mc² defined his postulated inter-convertibility of 'mass' and 'energy' as two forms of matter, with c being the speed of light in a vacuum having to be invariant to any non-accelerating observer even if moving towards or away from the light. Einstein's matter was generally seen as involving Descartes 'dead-mass' and somehow also a 'dead-energy' as a form of that, though it perhaps better suits a Gilbert-Newton 'energetic-matter' as allowing energy both being located in bodies and outside but activating bodies more than just being the motion of bodies as Descartes held. For Einstein's physics, actual E=mc² conversions between mass and energy perhaps really held only for photon emitting and absorbing, though the equation E=mc² might be claimed to also fit Descartes kinetic energy - or at least maybe a 'potential energy' for a body if it is accelerated or decelerated. (and for eg graviton emitting and absorbing, the equation might perhaps be E=mg² if gravitons have a differing base emission velocity g ?) Descartes kinetic energy basically did remain but now as one form of energy only, and with normal changes in it being claimed to give bodies changes in 'potential mass' or 'relativistic mass'. Most physicists from Gilbert and Galileo onwards had taken the measure of the amount of matter or 'mass' of any object as being its resistance to motion change or its 'inertia', though often this matter property was not precisely defined. This was generally considered independent of an object's velocity or temperature and might today be termed 'rest mass'. Einstein concluded that matter motion energy (and maybe other energy) was a property of matter that is separate from but convertible into the 'rest mass' property of matter, so any object should also have a 'relativistic mass' that increases with the object's absolute velocity or temperature. There then may be issues about whether the different effects that objects can show (which eg might or might not include gravity production and/or inertia) are due to their 'rest mass' or their 'relativistic mass'. And some physicists seem to take it as two kinds of matter being convertible into each other, each with some largely unspecified sets of properties. Newton's force-gravity physics seems to require that gravity is produced by and affects only bodies with mass. Einstein's space-gravity physics seems to require that gravity is produced by all bodies with mass or energy, and affects all bodies with mass or energy. There seems no real proof that either is fully right in this respect, and maybe either or both might better be modified, as accurate measurement of zero masses or energies is at least almost as tricky as accurate measurement of near-zero gravities. Maybe energy generally is not gravitationally equivalent to mass, ie a faster billiard ball does not gravitationally attract more than a slower billiard ball and a hot billiard ball does not gravitationally attract more than a cold billiard ball ? Energy in the form of photons may even be a special case and be gravitationally equivalent to mass, ie photons may gravitationally attract and be gravitationally attracted ? But if that is the case, then should we expect that a beam of white light passing close by a massive body would be split into its rainbow colours as Newton showed happens with a prism ? Or might variation in photon energy involve a non-gravitational component akin to matter motion energy ? Or photons might perhaps just be smaller faster neutrinos, unique less in their speed than simply in them being one of the basic building-blocks of which other 'elementary particles' are composed ? Taking observers and light, or more broadly 'electromagnetic radiations', as maybe more fundamental than time and space, maybe came close to adopting a Gilbert-style signal theory but Einstein went elsewhere with his spacetime relativity. And his theory has perhaps produced some confusion of the properties of matter and the properties of energy, especially for matter-related energy like gravity. Einstein perhaps began the modern physics ascribing of properties to things without proof of such properties being consistent with other properties they had been proved to have. And often failing to precisely define what 'mass' and 'energy' exactly are in their theories. Heisenberg and others claimed that there were limits beyond which no observer could get exact knowledge of nature, so that scientific predictions could at most be predictions of probabilities and essentially Newtonian blackbox science. But science rests on multiple observation and not just on individual observations. Einstein supported full-prediction laws of nature science and held that a valid theory's necessary 'unseens' like his spacetime continuum would actually be observable if only indirectly. But force fields and spacetime continua perhaps fit uneasily with eachother and uneasily with the many discrete quantum effects that nature seems to actually exhibit and have led to much work on developing a quantum mechanics physics generally including human observer uncertainty though not always also dropping all fields or continua. Einstein soon added gravity to his theory in his General Theory of Relativity now involving a space-time-gravity continuum. He postulated that masses somehow locally curve his spacetime continuum and that the continuum curves somehow accelerate bodies in it. Einstein concluded that gravity works 'somehow' and his general relativity theory still seems to definitely rule-out any kind of push-physics or Descartes-style gravity mechanism while not ruling-in any other kind of mechanism such as a Gilbertian signal or 'emitted spirits' gravity mechanism. This addition of gravity to his spacetime continuum came from Einstein's assumed Equivalence Principle saying that acceleration was equivalent to gravity, a perhaps arbitrary limitation of Newton's force definition claim that force was whatever produced acceleration and applied to all gravity, magnetism, collision or touch forces and any other forces. And gravity acceleration is not the same as touch acceleration. Touch-accelerate a platform that a man is on, at eg 100g, and parts of his body in contact with the platform accelerate 100g but other parts have inertia so the body flattens and you get a squashed-dead man. But gravity-accelerate a man 100g and all parts of his body accelerate 100g and the man is OK ! And of course if, as Einstein's theory required, Gravitational Attraction is equivalent to Acceleration, then how is that consistent with Electrical attraction or repulsion not also being equivalent to Acceleration ? The strengths of such natural forces as electric charge and magnetism seem to have no relation to the mass of the objects producing them, while the strengths of such natural forces as both gravity and collision do seem to exactly reflect the mass of the objects producing them. Not all physics theories seem able to account for, or reconcile, these facts easily - if at all. There is also some evidence that gravity has some relation to other forces that hold atoms together, with increasing gravity maybe reducing 'spontaneous' radioactivity. Hence Einstein's limited 'Gravity Equivalence Principle' like his 'Time Dilation' seems a doubtful extra assumption for a physics. However Einstein could now claim some consistency with Newton on gravity maths at least, though not with Newton blackbox or all-forces physics, and Newton would no doubt have strongly opposed Einstein's theory as requiring 'unscientific hypotheses about unseens'. Einstein's maths does seem to better fit the well known precession of the planet Mercury, but that remains a 1-off coincidence until it is compared with Newton's maths for many bodies - as for the good number of moons of Jupiter that have orbit gravities stronger than Mercury ? Planets maybe look better than Suns at holding bodies in closer orbits, perhaps due to Suns emitting ignored push-force radiations that most affect closer bodies ? Einstein devoted years to trying to modify his theory to handle all forces for a non-arbitrary 'Unified Field Theory', but he could not manage this and neither has anyone yet from General Relativity. Einstein held to the basics of his continuum physics theory and, though agreeing that substantial evidence of quantal phenomena in nature did make his continuum theory doubtful, he thought that there must be one right theory and he did not consider quantum physics a better physics theory option. Of course there is motion in the universe so gravity is something variable, and to Einstein that makes spacetime variable and measurement variable - giving a much trickier science than assuming space and time to be fixed. His theory did have some absolute rigid requirements chiefly of his continuum and of the particular velocity termed the speed of light. And if we removed Einstein's continuum relativity explanation from Einstein theory then we would have a no-explaining black-box Einstein theory maybe more complex and so less easily understandable than Newton's as well as covering much less. Of course, though some may be happy with the general idea of black-box science, many will complain that 'they do not really explain anything' - which supporters will say is fine if they correctly predict everything, but the absence of an explanation can maybe also make them harder to understand. Some modern physicists support theories that involve extra dimensions as explanation, though to many this does not itself explain anything and such theories might be better presented as black-box ? There are certainly plenty of proven cases of maths needing extra variables for reasons other than dimensionality that such physics 'explanation' seems to ignore. The maths of Einstein's theory certainly seems to predict better than the maths of Newton's theory in some limited areas, but that in itself is perhaps no proof of Einstein's postulated explanation - and as an explanation it maybe smacks of a mathematician's attempt at a logically simple universe basically like the Harmonies and Geometries theories of the early Kepler ? Albert Einstein's relativity universe explanation even he considered to be at least incomplete. Support for it largely come from astronomers and maybe helped take physics back to an early-Kepler mathematical-imagination physics scenario that still prevails. Einstein physics now is perhaps chiefly supported by astronomers and 'cosmologists'. Einstein repeatedly claimed that Newton's ideas supported his own, though it may merely have been that Einstein managed to construct his maths to match Newton's maths under some conditions. For planetary body motion, to the extent that he defined his mechanism for gravity it seems a basically similar push mechanism to Cartesian mechanisms which Newton proved are not compatible with his planetary motion or with actual planetary motion. For Einstein's theory to be viable it seems to need a gravity mechanism different to its claimed neo-Cartesian mechanism. Einstein also showed no understanding of the real nature of the attraction theory that Newton used as one possible explanation theory (eg. thinking that it required faster-than-light action and nothing being emitted by bodies) and Einstein largely ignored Newton black-box theory and the wider cover of Newton physics. He seems not to have substantially studied Newton, and still less Gilbert. Yet Einstein confidently claimed that he had disproved the basics of all Newton theory - and Einstein assumed that Newton had disproved all prior physics. But any real reading of Newton and Gilbert physics contradicts most of these claims. Einstein developed his basic relativity thory ideas while working as a patent clerk being an amateur physicist. His general relativity physics involved a necessary acceptance of contradiction in physics theory, though many physicists somehow came to support it only as a non-contradiction theory. He took the acceptance of wave-particle duality in light physics as the general acceptance of contradiction in a physics theory. And not just allowing of contrary interpretations and contrary mathematics, which Newton had allowed as a blackbox philosophical option, but allowing of contradiction in actual experiments and in actual nature. Einstein said that nobody fully understood his theory, seemingly meaning that everybody misunderstood it. But, understood or misunderstood, key physicists proceeded to misrepresent Einstein's physics as had happened with previous physics - and that continues. In relation to gravity, the behaviour of Einstein's spacetime continuum is commonly taken as not far from the behaviour of a Descartes' push ether and so involving some of its problems that were well addressed by Newton. However Einstein required that his continuum could not actually push objects but somehow 'helped direct their motions' (maybe better with a signals-giving-responses mechanism ?) It is not possible to directly detect his claimed 'spacetime continuum' or its claimed curvatures. It is another physics 'unseen' like the ethers of Descartes push physics and the signal effluvia or spirits of Gilbert-Newton attraction physics, so that claimed 'indirect evidence' for one of them can perhaps equally be taken as being indirect evidence for any of them. And if bodies do somehow tend to move along lines of equal gravity or equal space curvature (and not in a straight line), then should gravity and space curvature around the Sun be spherical and cause planet orbits to be circular and not elliptical as they actually are ? But really Einstein's gravity mechanism was poorly specified and so was, and remains, misunderstood or misrepresented by most physicists. In reality Einstein only disproved some of Descartes push-physics, adding to Newton's disproof of some of it, though trying to retain some Cartesian fundamentals like its definition of 'mass' or 'matter'. And the Descartes view of matter as dead stuff whose chief property is fixed space occupancy requiring contact pushing, fits uneasily with Einstein's space variability. General Relativity opposes and maybe disproves some of the essentials of Cartesian physics but not really the essentials of Gilbert-Newton physics. Relativity physics was actually a basic part of Gilbert signal attraction physics in its 'mutuality' which Newton physics also incorporated but Einstein ignored. William Gilbert 'mutuality' and 'coition' physics was basically relativistic and did not rest on fixed co-ordinate requirements or the like as Einstein supposed. And Newton's theory took such as only a matter of convenience and not a theory requirement either. 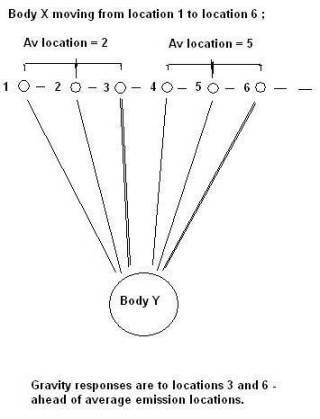 All 'attraction' forces on a body and resulting motions are in both magnitude and direction relative to another body. It is also generally not proven that Einstein-supported 'field physics' maths cannot also be derived from Einstein-opposed 'signal attraction physics'. And it is generally not proven that Einstein-supported 'relativity' maths cannot also be derived from Einstein-opposed 'attraction mutuality physics'. These may well involve image compatibilities. Though signal observer relativity was no doubt rightly central to Einstein's physics, his was a physics which itself had only matter, energy and continua and no observers or signals within it so that his observers and signals are weakly defined. Most attempts to incorporate observation and measurement into physics are maybe too narrowly human-oriented or 'anthropomorphic'. In line with both Relational Quantum Mechanics and Gilbert-Newton Attraction Physics, it can reasonably be posited that no physical event can happen without some information or signal being observed and responded to. Then the key requirements of the physical universe would seem to be not particles and/or waves or humans; but information emitters, information responders and response time ? Gilbert response physics and its Newton derived attraction physics did include observers and signals within the physics and Einstein might better have worked from that to have observers and signals better defined. Relativity basically took light and other 'electromagnetic signals' as emissions from bodies that, a Gilbert robot-matter Attraction theory supporter might complain, do little substantial in the universe except happen to inform human observers. Observers and signals are really bodies outside Einstein's actual physics and not essential bodies in it, unlike Gilbert signal theory or attraction theory as used by Newton though not fully publicly committed to by him. Einstein physics is really less a relativity physics than Gilberts. And almost all that we now know about the universe has come from electromagnetic or other signals, and perhaps nothing has as yet been learnt from any mechanical or force ether or spacetime continuum indicators. And interestingly in modern signal theory, the difference between digital and analogue signals is basically the difference between particles and waves. Classical experimental physics theory certainly had holes so that Einstein could push his fictional-experiment 'relativity' physics theory. While many now claim that real physics started with Einstein, there is a maybe stronger argument that Einstein ended any chance of real physics theory and confirmed Catholic Inquisition 'just ideas' science-fiction physics theory based on his 'thought-experiment' or 'fictional-experiment' method. Of course there is some small chance that any science based only on thought or fiction may be right, but generally science based on actual experiments has a bigger chance of being right. 'Thought-experiments' can easily give results that conflict with the results of real experiments. Science theory was no longer to be based on substantial prior experimental fact, instead conjectural theories would hope to later find one or two selected facts to fit them and call that 'proof'. Einstein physics was challenged chiefly by quantum mechanics and its standard model(s), which has involved substantial real experiment on particles but has maybe struggled on its theory side. To some at least, support for Einstein's relativity theory is support for its mathematics only - in line with Newton's blackbox theory position that science is only about predictive mathematical description of natural phenomena, and that explanations are unnecessary philosophy. From that position, Einstein's mathematics might allow of several different explanations of the physical universe - different image theories. Perhaps, in adopting duality physics and contradiction in physics, Einstein thought that he was merely expanding on Newton's black-box compatible alternative-theories physics. But there was a rigorous logic to Newton blackbox physics, and none to duality physics or contradiction physics. Einstein really rejected real science for a sci-fi magic version, and has been followed in that by too many who should know better. 1. Every body will remain at rest, or in a uniform state of motion unless acted upon by a force or a spacetime curvature. 2. When a force or a spacetime curvature acts upon a body, it imparts an acceleration proportional to the force or the spacetime curvature and inversely proportional to the mass of the body and in the direction of the force or the spacetime curvature. 3. Every action has an equal and opposite reaction. Atomic physics - what is an atom ? Most early physicists assumed that gravity and the like were atom behaviours, and that atoms must be basically simple and improved knowledge of atoms would clarify the laws of physics for gravity etcetera. But atomic physics study has shown atoms to actually be complex, more in line with William Gilbert atom behaviour theory than with Descartes simple billiard-ball atoms. Early experiments seemed to show atoms as basically electromagnetic with electrons orbiting protons, but soon were taken as involving more parts and more behaviours. Atoms can absorb and emit light and other EM radiation, and can absorb and emit different particles, with some atomic events seeming simple immediate events and some involving cumulative excitement delay. And the behaviour of atoms including the photoelectric effect and spontaneous radiation seem to show that generally hitting an atom with a large particle causes a large immediate clear atomic radiation effect while some small things may have a delayed cumulative effect that can be hard to link to cause. Most atomic experiment has been on 'hitting' atoms with big stuff, though no actual contacts have ever been observed. And this is perhaps more 'abnormal' atom behaviour - and far from clarifying gravity and electromagnetic forces, atomic physics has had to assume that at least two new additional very different and really unproven atomic forces also exist. While gravity and electromagnetic forces can be demonstrated to have basically infinite range with strength decreasing with distance, the supposed Strong and Weak atomic forces are claimed to somehow have a limited small range - and a Nobel prize was issued to David Gross et al for the claimed discovery that the short-range strong atomic force INCREASES with distance. The claim of a multitude of forces at work within an atom is problematic for Einstein physics, and atomic physicists generally adopt some version of quantum theory often with forces said to be based on particle exchange emission rather than on fields or space continua. Their 'particles' include as yet undetected gravitons for gravity, and others for electric charge and magnetism, as yet with little evidence. If atoms physically appear mini-solar-systems, their behaviour and forces seem more complex rather than simpler ! Modern atomic science atoms are looking too complex for Newton or Einstein theory but are maybe looking better suited to being Gilbert signal emission robot behaviour atoms ? There has been much debate in physics recently on whether the Graviton exists, though no debate on whether a Graviton might be a momentum-push particle, an energy quantum or perhaps a particle or energy quantum signal ? And our 'elementary particles' like electrons may yet be found to themselves be complex systems. The mathematics of elementary particles and of photons allows of a humble 5+ MeV electron possibly being a complex composite system of eg 5,000,000+ 1 eV photons and/or other components ? Gilbert claimed that the physical universe works 'like light', while Descartes' optics had light as a push in his material ether medium, and both Newton and Einstein produced works on light as particulate radiation (or 'corpuscular' or 'quantal') without committing fully to them - and both considered light as subject to gravity. Yet others produced theories on light as waves in a medium, and support has at times swung between different theories of light. Light certainly shows some complex radiation, transmission and absorption behaviours not all of which seem easily explained by one theory ? Hence it basically travels in straight lines while waves spread all around, and a denser medium makes normal pressure waves travel faster but makes light travel slower. Several formulations of wave-particle duality theory have not given anything agreeable, and some experiments claiming to follow light paths may involve light absorption and re-emission or combine responses to light with responses to some Gilbert signal emitted by light photons. Einstein's theory seems to be supported by the fact that particle accelerators to date generally cease to accelerate particles that have reached speeds close to the speed of light. But this is confined to only electromagnetic acceleration of charged particles, which could be explained in a signal response physics by a response time. Einstein non-response theory always assumes a zero response time which looks maybe unlikely ? Signal saturation and other established signal theory effects could also possibly be involved. Numbers of astronomical observations and of physics lab experiments seem to have shown some massive particles moving at velocities very close to or even exceeding the speed of light. This evidence generally concerns neutrinos and appears to be some real evidence against Einstein's physics. Of course Newton insisted that no fixed velocity, even the velocity of light, can really be distinguished from rest - and so like Gilbert based his science on acceleration rather than on velocity with F=ma rather than F=mv² suggesting Einstein's E=mc² may be shakier ground. Einstein's claim for c as a velocity limit for all motion also seems confined to rectilinear motion and maybe does not cover spin motion ? His amazing c is linked to his view of time, as being merely a property of his gravity-curved space ether or continuum and as not being independent of space and gravity as most previous physics held. If experiments indicate that two events seem always linked and seem always to happen 'at the same time', then it seems that one of the events is the cause of the other but also that such experiments cannot prove which event is the causal event. If anything indicates that one of the events is causal, then that event must be taken to precede its effect by some 'response time' even if too small to detect. And if causal events need not involve motion, then this 'time' need not basically relate to motion or to space as commonly assumed but rather to causation generally. If, as Gilbert showed, a magnet can induce magnetisation in a nearby piece of iron with no apparent motions involved by some forces involving the working of some causes and effects, then that seems not to involve any changes of motion or of occupancy of space, yet causes may be deduced to be working and to be preceding effects so that 'time' may be deduced here with NO observed motions or space changes being involved. Of course such deduction may need to be backed by other evidence of such forces from motion experiments, but that need not confine 'time' to only motion ? Light interacts with atomic particles and most is known about its interaction with electrons which look much like simple particle collision type interactions, though little is actually known about simple particle collisions if they exist at all. Logically perhaps light looks like a class of particles normally bound to electrons by some attraction force the escape velocity from which is c. While light is said by some to be waves of a range of frequencies, it can act more like uncharged particles of a range of masses though perhaps not responding to gravity like normal matter particles. And a quantal or non-continuous emission can be of distinct single things OR of distinct sets of things like firing 3 missiles or a bunch of shot. Neutrons were at first claimed to be light wave photons, but they act quite differently and interact with atom nucleons more than with atom electrons. The Photoelectric Effect involves different atoms emitting electrons in response to incoming photons. 2. If electrons are emitted, the energy of each emitted electron is normally proportional to the energy/frequency of each above-threshold photon received. 3. If electrons are emitted, the number emitted is normally proportional to the number of above-threshold photons received. The Compton Effect seems to involve light hitting electrons and losing energy/frequency and deflecting electrons in proportion to photon energy/frequency as though that was photon mass momentum. This is also affected by the energy state of the electron, and has a much bigger multi-photon response than does the Photoelectric Effect. A quantal signal theory of light that could alone explain both wave and particle responses might perhaps be a Particle Set theory of light, where light is emitted as a set of say 3 particles and 1 particle set is 1 photon. Some physical effects could then be to its set properties and some physical effects be to its particle properties. Set properties could include equivalents to wavelength but not have the same relationship to velocity that simple waves have. Einstein got his 1921/22 Nobel Prize not for discovering the photoelectric effect but for his mathematical explaination of the photoelectric effect, but like others he went with the limiting assumption that quantal effects proved single-particle action and excluded particle-set action. But a wave theory of light could perhaps also alone explain both wave and quantal responses using all-or-none response mechanisms as a mechanical clock can convert continuous spring pressure to digital ratchet motion. 'Duality' theory, as in taking light or matter as both being a wave and being not a wave, of course involves blatant logical contradiction and as such should not be unconditionally acceptable in science. Even if nature actually behaves in apparently contradictory ways, good science seems to require that there must be some non-contradictory explanation behind it. So at most it may be reasonable science to say that light seems to show both wave and non-wave behaviours and the explanation for it is not known and not to support contradictory 'duality theory'. Or for multiple theories to be logically acceptable they must fit the conditions set by General Image Theory science. Indeed the logical particle theory interpretation of the photoelectric effect having a 'wavelength' requirement seems to be a particle-set interpretation. Light theory currently requiring duality is certainly unsatisfactory and suggests the need for new experiments, perhaps not just on light itself but on a range of particle beams and on a range of pressure waves in a variety of scenarios to clarify the actual properties of them. Pressure waves have perhaps been fairly thoroughly studied, but particle rays much less so - especially uncharged particle rays like neutrons that seem to react little with matter and so are almost unseens and hard to detect refraction, diffraction etc in. It may be that in similar circumstances both behave similarly or not to some extent, hence diffraction at material edges seems a wave property but might also be a particle ray response to quantal signals from material edges or something else. On other differing interpretations of 'double-slit' light diffraction experiments, see - quantum light theory. In some circumstances a laser spot on a wall can be observed to move along the wall faster than the speed of light. While here nothing actual is moving faster than light, this is an observable illusion of something appearing to move faster than the speed of light. But strangely astronomy and particle physics seem to never report observing this type of illusion, and that maybe raises an issue as to the reliability of some astronomy and some particle physics ? And astronomical 'evidence' of 'gravity bending light' or 'spacetime bending light' seem to not fully match laboratory experiment, and with our limited knowledge of the actual physics of extraterrestrial regions could be mere refraction or diffraction type events. And some areas of space with strong gravity fields may also have strong magnetic or other fields as well confounding some claimed effects Also, pulsating quasars show redshifts in line with the redshifts of other astronomical bodies, but their pulse timings do not seem to be related to their redshifts as relativity theory should imply - see www.newscientist.com/article/mg20627554.200-time-waits-for-no-quasar--even-though-it-should.html Attempts to 'explain' this quasar problem have been weak and include positing invisible astronomical bodies. Many key physics issues now seem not logic or maths issues, but experiment issue and all possible experiments have not yet been done. And interpretation of experimental results involving light acting as a signal certainly needs to consider signal theory interpretation, as in our Light as a signal section. The above anticipation mechanism could work both at a macroscopic averaged level and at the microscopic quantal level. And there could also be response differences to approaching/receding signal source motions besides response to static-source signals. Of course alternative anticipatory signal response mechanisms are conceivable, but anticipatory signal response mechanisms would involve specific testable predictions for astronomy and physics. Hence the above mechanism could show different response effects at high or low gravitation intensities, and could also of course involve the effect varying with the direction and angle of the motion trajectory. The direction of signal reception could be set to directly force the direction of response. Hence if gravity response has minimum and maximum response times then more than 3 signals received in the minimum time might give a 3-signal response or some other second gravity response law, and less than 3 signals received in the maximum response time might give a 3-signal response or some other third gravity response law so that gravity might at different gravity strengths involve three gravity laws rather than one and give a gravity maths nearer Einstein's than Newton's though in a signalised Gilbert-Newton attraction physics. Clearly experiments in gravity extremes could resolve this, and similar effects might also apply to other physical forces. Of course generally natural physical emissions including perhaps light and gravity signals should be emitted in some direction with some velocity in that direction, but generally with additionally also a velocity component that reflects any velocity present in the emitter. Testing for such will present problems, especially if one velocity is usually much smaller than the other. There are related consequences for the emitter on an 'action and reaction are equal and opposite' basis, and other consequences if an emission does not involve such 'velocity-carrying'. And motion velocity or acceleration of bodies may confer properties on them that motion direction does not, though measurement is generally direction specific and direction dependent. The 3-signals signal anticipation mechanism given above gives apparent faster-than-light response and could perhaps also explain both averaged macroscopic-body orbits and quantised microscopic-body orbits. 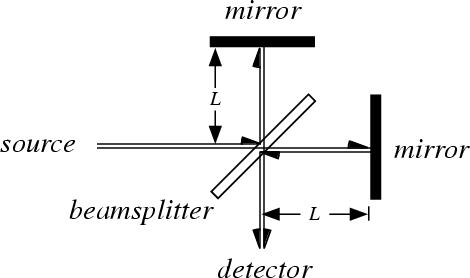 At macroscopic distances emitted signals will tend to being larger numbers of signals averaged, but at microscopic distances emitted signals will tend to be infrequent individual signals. If receiver response to a signal-emitting object orbiting around it requires the receiver sending a directional response signal, that signal will be received by the orbiting emitter (and not miss the orbiting emitter) only if it is orbiting at some specific appropriate velocity so that possible orbits would be confined to some specific quantal values and so give a new quantal atomic orbits explanation. And such quantal attraction motions would add to an object's non-quantal continuous inertial motion. Hence it is possible to build a gravitating robot or a missile/asteroid detector with such anticipatory 'faster-than-light' response. And, if fully programmable, such can be programmed for extra anticipation - though that need not always work well as the Moon's motion may be well predictable but not all other motion is. A basic signal theory view of Newton 2-body gravitation might reasonably involve a background signal flux and 2 body fluxes something like below. And though a difference in background gravitation will have do direct force impact on the relative motion of 2 bodies, it could have an indirect impact if it changes the extent of gravity anticipation by the two bodies. Some kind of signal response mechanism seems really needed in the perhaps dubious Shifting Gravity Theory proposed by Daniel Emilio at http://home.earthlink.net/~danielemilio/a_shifting_theory_of_gravity.html. That basically needs particle gravity response to be basically a William Gilbert robot-response, but many signal-response mechanisms can have mechanical equivalents such as using valve, escapement and other mechanisms. In most field and ether theories including Einstein's, forces are basically tied to their sources as is the Sun's gravity and can only be modified by modifying the source (ie. the Sun). But in a Gilbert style signal theory when graviton signals are emitted by the Sun (like light) they are separated from it and may allow of signal modification as by gravity-shields or gravity-magnifiers - though none such have yet been discovered. And signal theory can offer other effects as signal thresholds, signal saturation, response maxima and reaction time are normal phenomena in any signal theory, but their equivalents in other forms of physics theory when present can often appear perhaps more arbitrary ? Of course Einstein died before remotes and computers became common and his and other 'modern physics' have failed to incorporate the main modern technology ideas that were anticipated in Gilbert's physics and its part-development by Newton. England in 2013 saw the somewhat unusually Einstein-supporting particle physicist populist professor Brian Cox claim in a speech at the British Science Festival that time machines are possible, "though only for travel forward into the future". If Einstein's theory depends on time-travel then, perhaps conveniently for it, no time-traveller could ever come back to prove they had actually time-travelled !! Of course it is not clear that Einstein's General Relativity requires time to actually vary rather than just to appear to vary by it being relative like velocity. 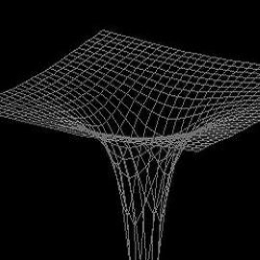 Of course now more than 100 years after Einstein's 'spacetime curving' theory, technology that can 'curve spacetime' has still not yet been developed which can only be evidence that Einstein's physics is inadequate (and maybe that as yet all physics theories developed to date have been inadequate ?). If physical forces like magnetism and gravity involve responses to signals, then responses must follow signals and time must exist and must be one-directional ? Einstein like Descartes wrongly saw theory, and in his case specifically mathematical theory rather than just logical theory, as being more significant to science than experiment. as he claimed in eg his 1933 Oxford University lecture 'On the method of theoretical physics'. This shows Einstein having a badly mistaken understanding of the basic nature of mathematics, additional to a badly mistaken understanding of the fundamentals of science that may really rest on a view of the universe as being a creation of a mysteriously-logical God more than of the universe being actually logical ? Hence he did claim as a supposedly significant science argument that 'God does not play dice'. Einstein's science theory does contain numbers of significant problems but his biggest mistake was undoubtedly like fellow theoretician Descartes in rating science theory above the study of the actual universe. Einstein also inclined to the Pope argument that what he was claiming was too complex for ordinary non-genius people to understand, so most people should just trust him and believe what he claimed by faith. But many who want people to believe some nonsense make such a claim. It is true that a universe whose basic workings are simple, can have some multitude of workings at the same time so the totality may appear complex and will give some complex mathematics. Dwelling on some such derivative complexities while ignoring the basic simplicities is very bad science and is shown by too many modern physics theorists, who should really be looking at viewpoints more like that of Isaac Newton and of William Gilbert. Such science is basically understandable by the majority of people without needing all possible trickier mathematics to be understood. But still 2017 saw NASA backing doubtful theory claims that solar system orbiting in not fully explained by Einstein's or Newton's equations, but requires an as yet unseen mystery big planet far beyond Neptune's orbit - Ninth Planet. A new 2016 seemingly anti-Einstein anti-spacetime-continuum finding has been reported concerning the Sun's magnetic field. Apparently like its gravitational field, the magnetic field of the Sun seems near-spherical and so unaffected by the Sun's movement through space though Einsteinians had predicted a comet-tail shape. Of course Einstein's Relativity theory in fact failed to cover electromagnetism at all, but does seem to imply a strongly non-spherical gravitational field which also seems not backed by the evidence ? See - On the Sun's magnetic field. Newton predicted no effect from the Sun moving through space because all solar system bodies share that motion so that there is no relative motion involved and he saw only relative motion as giving physical effects as he showed for gravity between multiple bodies. Newton like Gilbert saw space as containing no kind of ether and so no ether drag on anything that could give physical effects such as claimed often by Einsteinians though Einstein himself had claimed that his continuum ether involved no drags or pushings. But clearly many 'Einsteinians' support a Cartesian version of Einstein's physics. It seems that late in life Einstein also abandoned physics, as he turned down his doctor's recommended deathbed surgery saying "I have done my share; it is time to go. I will do it elegantly." But despite modern quantum physics development like string, loop and other quantal theories that seem supported mostly by 'particle physicists' and only some of which use field and particle-wave duality ideas, it can perhaps be said that nobody has yet successfully published a real disproof of Einstein's physics theory ? But the same can perhaps be said also of Gilbert-Newton attraction physics theory ? In current physics, the first statement by C.A.Mead in his introduction to his 2000 'Collective Electrodynamics' is that "the last 7 decades of the 20th century will be characterised in history as the dark ages of theoretical physics" - and perhaps it has not ended yet. In the rest of his work Mead claims to prove that the universe consists only of electromagnetic waves and fields with no medium - his maths look good and others have backed such waves, but waves in nothing and fields of nothing as not nothing ? For other relevant views of physics theory now see our String Theory, and for Black Hole, Dark Matter, Universe Expansion and other claimed phenomena see our Gravity section. Einstein, unlike Newton, Descartes and Gilbert, published none of his science in Latin - sticking largely to his native German. English translations to date seem largely to be on his relativity theories dealing with trickier phenomena. If we ever find a good explanation of his relativity theory for ordinary phenomena, as to how gravity works for planets, moons and comets and how collision energy transfer between bodies works with his E=mc² (how that works for emission and absorption of electromagnetic waves [or photons] seems obvious), then we will add it here. As the closest we can find for now, you can read good English translations of Einstein's interesting 1920 lecture on Ether and the Theory of Relativity and his 1910 non-relativity lecture on Electricity and Magnetism at our Einsteins Ether. And through Google Books you can read an English version of Einstein's 1916 Relativity. Or to read another physicist Many-Minds Relativity view of Einstein's relativity see http://claesjohnsonmathscience.wordpress.com/article/many-minds-relativity-yvfu3xg7d7wt-5/.